3D printers seemed sort of gimmicky when they hit the market a few years back but now it’s clear the possibilities for them are near endless. Most people are excited about making little models, which is a lot of fun, but you can do more. 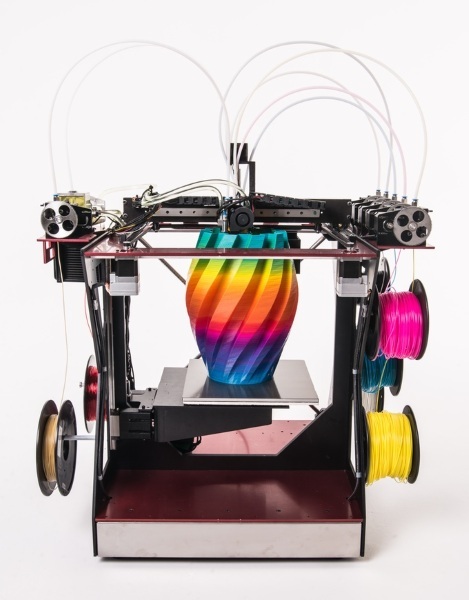 If you want to be more creative with your printing, the RoVa4D is the 3D printer that blends colors and materials for a true artistic expression. This is an innovative printer system that works closer to a laser printer to give you a variety of color options in just one print job. 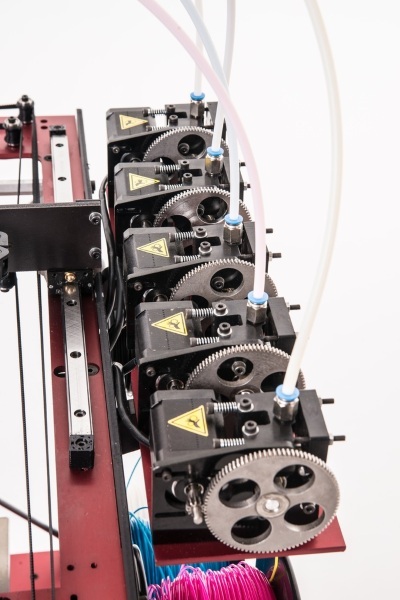 This printer is loaded up with five spools a filament, similar to colored ink cartridges, only this one also includes a white spool since there will be no paper to print on. The colors all pass through a single tip, allowing them to be blended together to make new colors or just for gradation purposes. The system has three different tips, one for color, one for soft materials, and the third for support materials. The printer can switch between all three inside of a single print job letting you explore making. All this fun doesn’t come cheap however, the RoVa4D starts at $4,600 CAD.